Redbridge has plenty of green space, making it an ideal escape from the city. Rentify can help you make the most of your letting with our handy borough guide. At Rentify we have property specialists dedicated to Redbridge, armed with local expertise and unmatched valuation knowledge to find you the right tenants. The London Borough of Redbridge is one of the greenest boroughs in London. Vast green spaces such as Epping Forest provide woodlands and recreation space for local residents. Districts liked Wanstead have a village feel and plenty of independent shops to those seeking a quieter pace of life. Families enjoy suburban districts such as Woodfoord Green and Seven Kings, which offer plenty of semi-detached and terraced houses with gardens. The borough is well served by the Central line as well as mainline rail services to Liverpool Street. Several stations will become part of the Crossrail line from 2018, giving commuters even quicker access to central London. Redbridge offers much more in the way of 1930s semi-detached, detached and terraced houses compared with other London boroughs, which are great for families. Yet there are still plenty of flats available for single professionals and couples seeking a quieter life. Redbridge's many districts each have their own character, catering to a variety of residents. Here's our top picks for new landlords in the area. 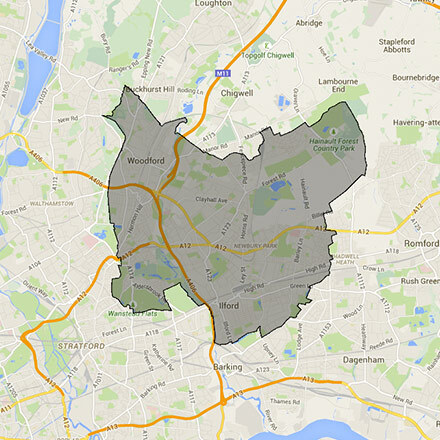 This borough covers the E11, E12, E18, IG1, IG2, IG3, IG4, IG5, IG6, IG7, IG8, RM5, RM6, RM8 and RM9 postcodes. Rentify uses proprietary methodology for data collection and processing. Borough data is collected from Rentify's property database and external public sources.